Montreal winter activities for the 2018 - 2019 season, from skating to skiing, are fun, affordable, and easy to learn. Residents and visitors alike can enjoy the region's plethora of winter activities thanks to affordable equipment rental fees, numerous skating rinks and more. Depending on which activity interests you, get ready to find plenty of popular spots for a variety of winter sports in the city. Traveling from out of town to visit Montreal this winter? These Montreal hotels are tailor-made for the season, allowing easy access to downtown shopping as well as being strategically connected to the underground city, allowing you to bypass outdoor streets if the weather is too cold or stormy. The ancient practice of snowshoeing dates back anywhere from 6,000 to possibly 10,000 years ago, and was a chief mode of transportation facilitating tribal movement through snowed-in woods. But yesteryear's seasonal necessity is today's sport, a recreational rite of passage for many Canadian children, plus an affordable and accessible activity in several Montreal parks come wintertime. An affordable, easy-to-learn activity, cross country skiing is a great sport suitable for all ages. Those interested in this sport will find more than a dozen cross country skiing parks accommodating beginners to advanced level skiers. With more than 200 kilometers worth of trails to explore, try your hand at some of Montreal's famed cross country skiing parks including Parc du Mont-Royal, the Montreal Botanical Gardens, and Parc-nature Cap St. Jacques. 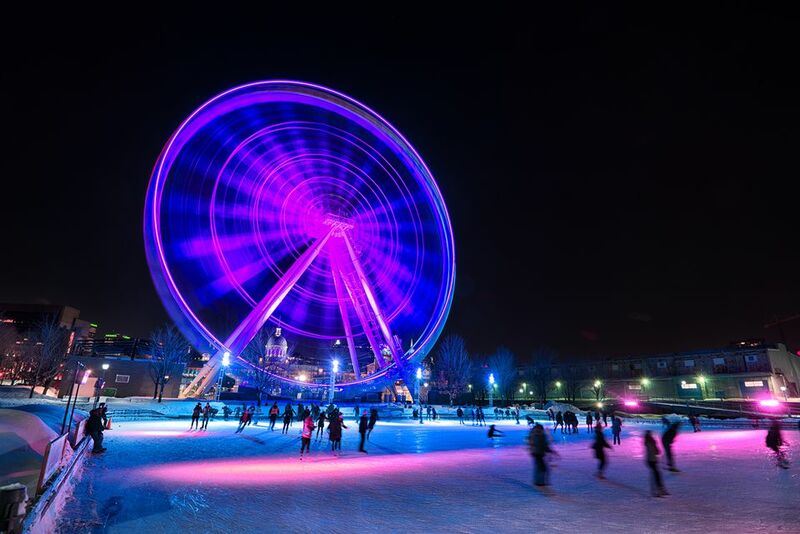 Out of all the Montreal winter activities available, ice skating takes a little more time to master in terms of technique, but once you've got the hang of it, the skill will stay with you for life. These outdoor Montreal skating rinks are the prettiest in the city, offering the perfect backdrops to master the art of ice gliding. Though some believe it is a forgotten winter activity, dog sledding in Montreal is very much alive and well. Thanks to Parc Jean-Drapeau, located in downtown Montreal, the opportunity to dog sled occurs for a few weeks every winter season (typically between January and February). Though the activity is contingent on snow conditions, and you need to book a reservation, the park's dog sledding options are an affordable and fun winter activity for children and adults! If you grew up in Montreal, or anywhere across Quebec for that matter, chances are you've slipped on a pair of skis and snow plowed down a hill at least once in your life. With eighty-some alpine ski hills scattered throughout the province of Quebec, you'll have plenty of opportunities to experience a local rite of passage. And even though Montreal itself has no downhill ski hills, all it takes is an hour's drive outside the city for some alpine action. Makeshift sledding hills are all over Montreal as soon as a few decent snowfalls make it possible. There are also seven notable sliding locations that are arguably the best spots in the city. Don't have your own sled? Not to worry, as these locations rent out toboggans and crazy carpets too. An affordable activity for families, solo nature enthusiasts, or even couples looking for a dose of outdoor romance, Montreal forest treks have become somewhat of an annual tradition in the city's network of large parks. Despite the fact that everyone seems to love rushing down a sharp incline in a snow tube, the island of Montreal has very limited inner tubing rental possibilities. If you long to go tubing, this list of Montreal snow tubing destinations features both local hills and major sliding attractions outside of the city, the latter of which is especially impressive. There is nothing like relaxing in an indoor or outdoor spa after an exhausting day of winter sports activity. Rejuvenate at Strøm, a Nordic spa located outdoors in Lac des Battures, Nuns' Island's lone lake. Here you can find thermal baths, wine tastings, yoga and more. Not another museum?! Keep kids happy & engaged in Montreal, Canada.